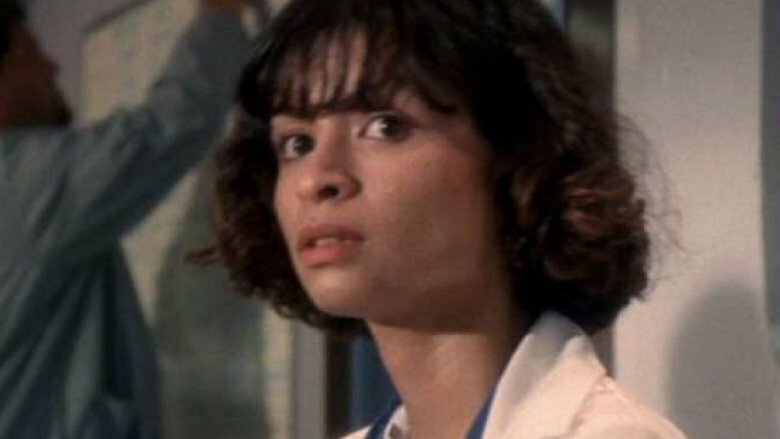 Vanessa Marquez, the actress who played nurse Wendy Goldman on the first three seasons of NBC's long-running medical drama series ER, died after being shot by police officers in South Pasadena, California on Thursday, August 30. The Hollywood Reporter confirmed Marquez's passing. She was 49 years old. On Thursday, Pasadena Police Department officers arrived at Marquez's residence to respond to an emergency medical call and carry out a welfare check. When law enforcement arrived, they discovered Marquez was having a seizure. According to authorities, Marquez subsequently "became uncooperative, and appeared to be suffering from mental health issues." After speaking with police and a Los Angeles County Mental Health clinician for about an hour and a half, Marquez reportedly pointed a BB gun at the officers, who then shot and killed her. In October of 2017, Marquez accused her ER co-star George Clooney of aiding in efforts to have her "blacklisted" after she alleged sexual misconduct and racial discrimination behind the scenes of the series. Shortly after, Clooney issued a response denying the claims: "I had no idea Vanessa was blacklisted. I take her at her word. I was not a writer or a producer or a director on that show. I had nothing to do with casting. I was an actor and only an actor. If she was told I was involved in any decision about her career, then she was lied to. The fact that I couldn't affect her career is only surpassed by the fact that I wouldn't." Prior to portraying Wendy on ER, Marquez played Ana Delgado in the 1988 Ramón Menéndez-directed drama Stand and Deliver. She also held roles in the 1993 gangster film Blood In, Blood Out and the indie pic Twenty Bucks. On the television side of things, Marquez appeared on episodes of Melrose Place, Malcolm & Eddie, and Seinfeld. Additionally, the actress did voice-acting work for the 2000 film Under Suspicion. Our thoughts are with Marquez's loved ones during this time of mourning.